I told you about Dollar Surveys before and I thought it be good to mention it again for all the new readers who have started visiting my blog. 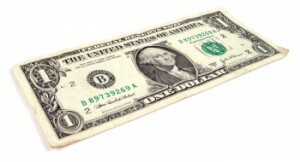 For every survey you take and qualify for, you’ll earn $1.00 via PayPal! 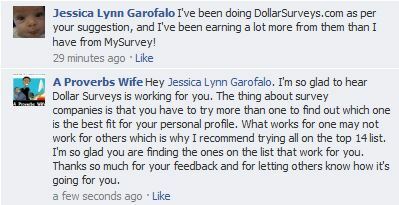 You can take multiple surveys everyday and believe me…there is no shortage of surveys with this company! If you are looking to really supplement your income or make some extra cash, begin by taking a look at some of the other survey sites I recommend. You will need to be a member of at least 10 quality survey companies in order to earn $50 – $100 a month. If you are still unsure if there is any money to be made by taking surveys, read my post “Can I Really Make Money Taking Surveys“. Pingback: A Proverbs Wife » The Top Market Research and Survey Panels for July 2012 | Earn and EXTRA $50 – $200 in July! !